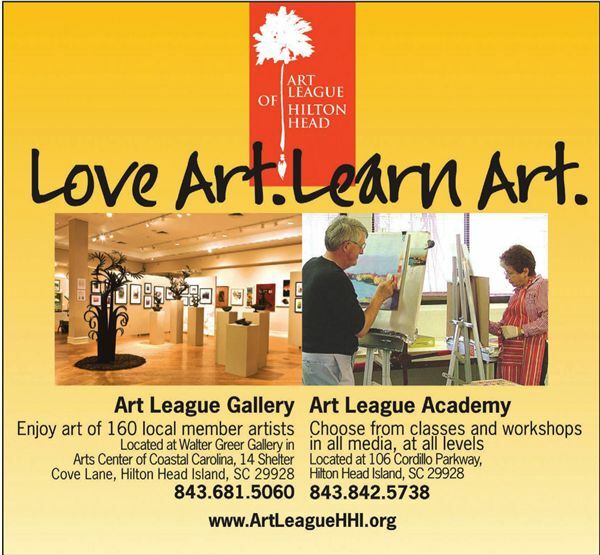 Live Art….Love Art…Learn Art….Take an Art Class while you are visiting Hilton Head Island! The Art League of Hilton Head promotes visual arts through exhibitions and educating. They offer a wide range of classes for students of all ages, levels and mediums. The classes are led by professional art teachers and run in 4 to 8 week sessions and some offer the flexibility of dropping in. A large variety of special events and fundraisers are offered throughout the year for both members and the community. In addition, the Art League of Hilton Head hosts the Gullah Celebration public exhibit in February. The Art League of Hilton Head has many talented artists. The Island draws some very successful and rather well-known individuals who call Hilton Head home. The art is truly a reflection of that and you will be delighted at what you discover in the Art League of Hilton Head’s Walter Greer Gallery. All of the exhibitions and receptions are free and open to the public. Forbidden Broadway at the Arts Center — The 4th Annual Tour of Wreaths!